I was lucky enough to be able to get an advanced look at Ninjago World at Legoland California, opening to the public on May 5th, 2016. My family and I were able to check out the activities, the new NINJAGO RIDE (which I thought was super fun! ), and try some of the new food that will be served at Ninja Kitchen within Ninjago World! The Ninjago ride is a 4D ride that lets you interact as you train to become a ninja controlling either fire, ice, lightening, or shockwaves using just your hands! The Ninjago Ride sits up to four, allows young kids on the ride, as long as they are able to sit unassisted, and kids 48 inches and up are able to ride alone. It is a smooth ride, there was no signage on not being able to ride pregnant though they do have a warning with pre-existing conditions, so if you are pregnant I think it becomes a judgement call and whether you would be comfortable riding, I am 20 weeks (no complications/low risk) and felt fine and I saw another guest in front of me who was closer to 30 weeks who also rode. My youngest is 1 and able to sit unassisted but he did need help sitting up when the ride turned so younger children would do best sitting between parents or sitting between a parent and an older child. My older child is three, and though I thought the ride was amazing, with the interactive scenes, he wasn't a fan of the effects (fog and air blowing in different scenes). Learn to spin like a ninja! This is an area that has spinners (single person spinning platforms) that you can stand on and spin. 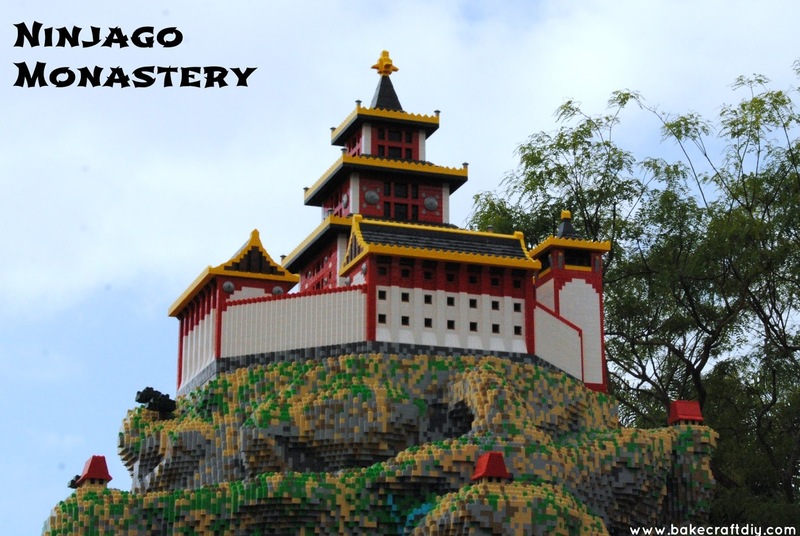 Help Zane build a model of the Ninjago Monastery this is an area where kids can build with Lego! This area has a small rock climbing walls where young ninjas can train and work on their endurance as they try to climb to the top! This activity tests your reflexes as you push the lit up button! Of course, with the new Ninjago World, there's a new place to eat at Legoland California, Ninja Kitchen. 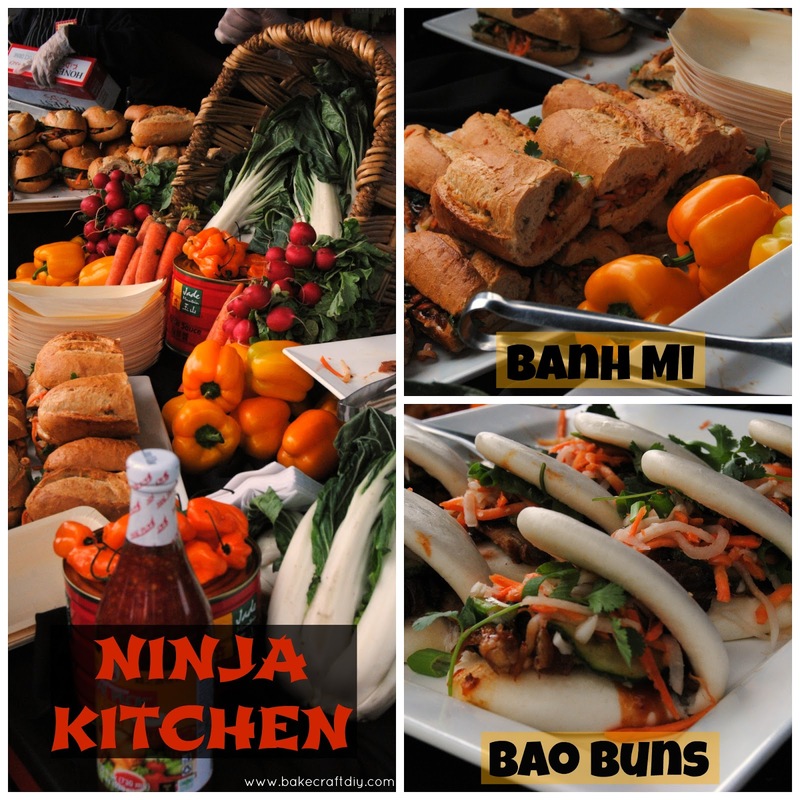 Ninja Kitchen will be serving up Vietnamese Asian street food with Bahn Mi Sandwiches on baguettes or Bao Buns with your choice of pork, chicken, or tofu. I tried the chicken Bahn Mi on a baguette and loved it, though it does have some spice to it, I would consider it mild. My three year old didn't like it but my one year old shared the sandwich with me! 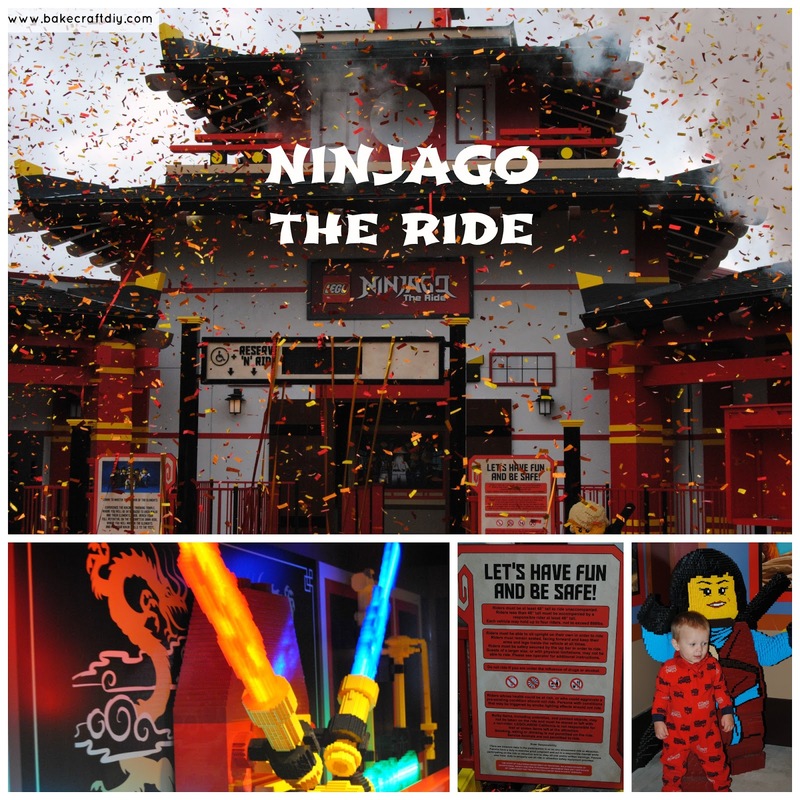 We had so much fun at Legoland, California inside and outside of Ninjago World. Though I really enjoyed Ninjago World I do feel it is geared towards slightly older kids, I came with a friend who's son is 7 and he LOVED the ride! Want to learn more? Check out these reviews from other Legoland Bloggers! Michelle from Delicate Construction brought her daughter along and you can see her review here. Michelle from Be Brave, Keep Going brought her two kids along for the ride and they loved it see her review here. Lysa from Garcia Memories brought along her two sons and her review includes photos of Kai's Spinners and Cole's Rock Climb! See it here. Lora from Lora Says So! came to Legoland for the Ninjago event and her post includes a video of the Ninjago Ride so you can get a feel for the ride before you go; see it here. Smitha from Running with SD Mom headed to Legoland with her family and she has an awesome tip to help you rack up the points on the Ninjago ride, see her post here. Abby from Hewes Family Fun took her son to Legoland and she has some suggestions on how to save money when you buy your Legoland tickets, check it out here. 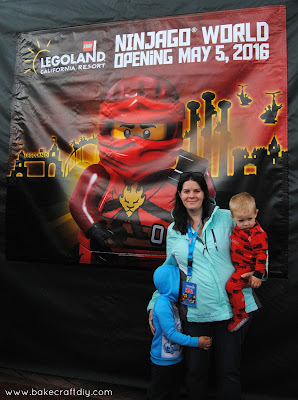 Becky from Craft Create Calm was not only able to attend the press preview but she was also able to get a sneak peak of Ninjago World during construction! Check it out here. This is awesome! 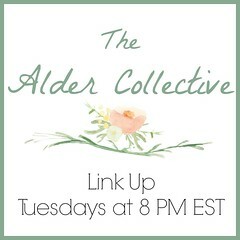 Thank you so much for adding my link!